We have been counted amongst the most trusted names in this domain, engaged in providing Automatic Foam Fill Machine. AUTOMATIC FORM FILL SEAL MACHINE : PS-900 is a state of art PLC controlled form fill and seal machine. All the vital operations of the machine like sealing and cutting are pneumatically activated for fast and highly efficient operations. We offer a precision engineered range of automatic form fill machine, which are used for packing of various powders, granules, detergent powder, seeds, tea, tablets, coffee, spices, snuff powder, pan masala, gutkha, dhana dal, mehandhi powder, supari, salt, sugar, masala pack, curry powder. Products to be packed: Tea, Sugar, Spices, Gutkha, Detergent, Shampoo, Ketchup, Jam etc. This is conventional roll-fed thermoforming machine use to form disposable cups for tea/coffee, yougart, shrikhand, curd, fast food containers, bowls etc. Available in 2 standard models. Average speed of production is approx. 6000 to 9000 cups/glasses per hour. 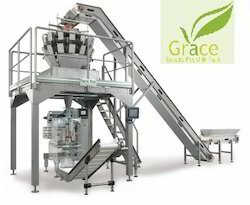 We offer a precision engineered range of automatic form fill machine, which are used for packing of various powders, granules, detergent powder, seeds, tea, tablets, coffee, spices, snuff powder, dhana dal, mehandhi powder, supari, salt, sugar, masala pack, curry powder. With assistance from highly qualified and experienced professionals, we are engaged in offering a huge gamut of Automatic Form Fill Seal Machine. Offered seal machine is designed using the most excellent quality components and cutting edge technology. 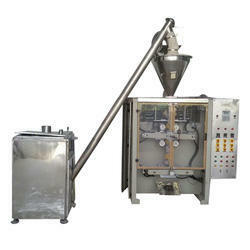 This seal machine is widely used in various industries for filling products.